WEC Group Invests in state-of-the-art Laser Cutting Machine for MTL Advanced. The brand new 6m x 2.5m Trumpf CO2 TruLaser 8000 has been commissioned in December as part of an ongoing investment plan to modernise MTL’s machinery line-up and boost productivity. The new investment will enable MTL to retain a competitive advantage on large volume production contracts as well as wear resistant, high strength and stainless steel components. 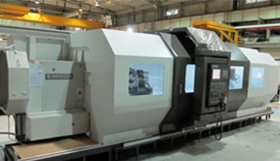 The laser cutting machine will also be fully equipped with an “Intelligent FMS” (Flexible Manufacturing System). 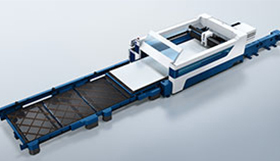 Specifically designed for sheet loading, unloading and part sorting, the system will add an extra layer of automation to MTL’s operations. The automated material handling system is ideal for MTL’s large contracts and batch orders as it is capable of running 24-hour unmanned operations without the need for an operator. Since bringing MTL out of administration in February 2015, WEC Group has embarked on an ambitious investment plan to secure the long term success of the South Yorkshire Company. As one of the largest engineering and fabrication companies in the UK, WEC is in the process of investing a further £7m to acquire the 300,000 sq. ft. facility and 6 acres of land in Rotherham which MTL has occupied since 2011, giving the Company much needed room for future expansion.